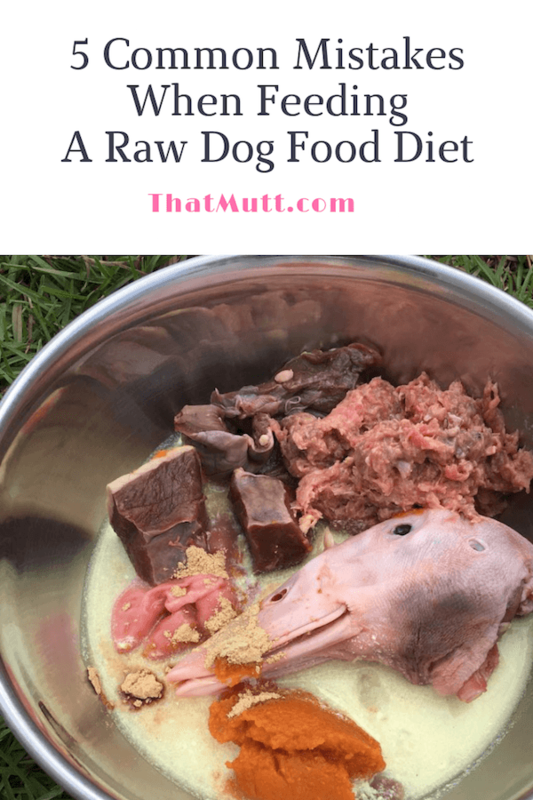 As a raw feeder, I know that feeding dogs a raw diet can seem daunting at first. I remember wondering how I’d make sure my dogs would get all the nutrients they’d need to thrive and how in the world I’d be figuring out how much food they’d need to eat per meal. This is completely normal since most of us grew up with dogs eating a dry and/or canned food diet, entirely prepared for us, just needing to be poured or scooped out into a dog food bowl. So while there are many lessons to be learned when it comes to feeding and preparing a raw diet, today’s article will set you up on a steeper learning curve since you won’t have to make the mistakes covered! I believe that one of the biggest mistakes that can be encountered in any dog food transitioning phase is introducing too much change too quickly, especially for dogs with sensitive stomachs. 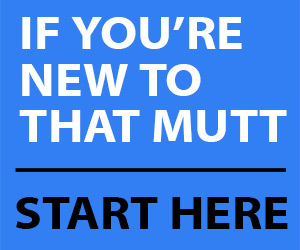 This holds true for switching between different brands of dry and/or wet dog food, and it’s especially true when making the transition from kibble to fresh food, particularly in dogs who’ve been fed nothing but highly processed dry dog food for many, many years. Taking it easy is the key here, and I’d suggest investing 7-14 days of time to get your dog used to the new raw diet. A huge mistake when feeding dogs a raw meat diet is to feed an unbalanced diet. Some people associate raw feeding with tossing their dog a raw steak before cooking their own, or presenting him with piles of raw organs such as liver. While the raw steak can be included in a raw meal from time to time and a little liver is actually a necessary component in raw feeding, a balanced raw diet involves more than just tossing a dog a steak or feeding him piles of organs. Why is that? Well, if the dog ate nothing but raw steaks for weeks and months on end, he would be eating an extremely unbalanced diet and suffer from deficiencies due to a lack of nutrient intake. He would, for example, not get the calcium intake necessary for healthy muscles and bones, which is found in raw meaty bones. The same goes for eating an abundance of liver – while it’s rich in vitamin A, too much of it causes Vitamin A toxicity and will also cause diarrhea. On the other end of the spectrum, the absence of Vitamin A can cause blindness, so I believe the importance of balance is starting to come across! Now in order to be considered a balanced diet, raw meals for dogs need to consist of specific amounts of different cuts of meat. You can also add certain nutrient dense foods as food toppers several times per week. Such foods can be raw eggs including their shell (ideally organic eggs if you’re including the shell), raw goat milk, and raw fish. If you’re not adding green tripe to your dog’s meals, you could add some pureed fruits and veggies instead. The meal in the photo below consists of green tripe (a muscle meat and counts as internal organ because of the digestive enzymes), a turkey neck (raw meaty bone), beef liver (organ) and a whole egg (nutrient dense food that can be added several times per week). That being said, not every single meal needs to consist of exactly that 80/10/10 ratio. Just make sure to achieve balance over the course of about 7 days, just like you would with your own meals. I know my own human meals don’t consist of every color of the food rainbow every single day, but I make it a point to eat a variety of healthy foods every single week. You could, for example, feed a raw meaty bone like a chicken leg quarter or a duck frame for breakfast, and then offer a dinner consisting of organs and muscle meat. In raw feeding, only secreting organs such as liver, kidney, spleen, pancreas, thymus, brains, and reproductive organs count as organs. Non-secreting ones like hearts and lungs aren’t considered organs and are to be fed as muscle meat. That’s definitely confusing at first. I know it was to me, but it was really just a matter of retraining my brain, and now I could tell you in my sleep that hearts aren’t to be fed as organs! I remember my huge AHA moment when I first realized that piece of intel, and what comes to mind now is the image of an emoji slapping its hand to its forehead, haha! Thawing raw meat in the microwave is a huge no-no because it destroys so many nutrients and would defeat the purpose of feeding a nourishing raw meal. Instead, defrost the meat in the fridge. It’s the gentlest way of defrosting. Dogs should eat from a variety of protein sources because it helps avoid food sensitivities and the different cuts of meat contain different minerals and vitamins, all of which are necessary to maintain a healthy body. Beef, for example, contains more iron and zinc than chicken, but chicken is leaner than beef. 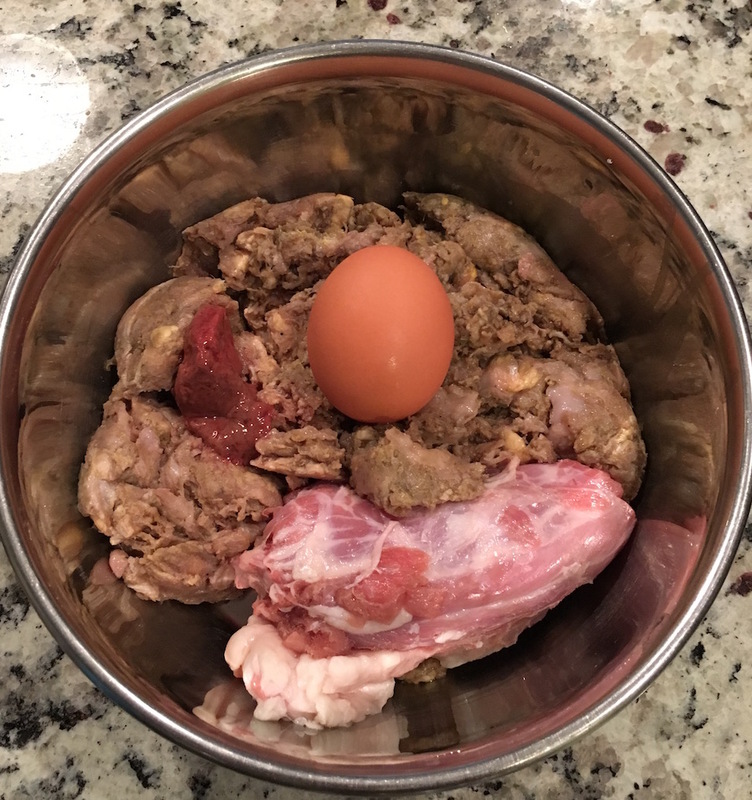 A positive side effect of rotating protein sources is that variety in the food bowl keeps mealtime interesting and your dog looking forward to it. Imagine eating the same exact food every.single.day. of your life. Pretty boring, right? The biggest difference between buying bagged or canned dog food and putting your own raw meals together is that your own meals don’t come with feeding guidelines. It’s up to us as raw feeders to figure out the right amount of raw food our dogs need on a daily basis to ensure they stay at a healthy weight. There’s a little math involved with this, but don’t worry, all you need to know are percentages. You’ll want to feed 2-3% of your adult dog’s ideal body weight per day (for the average dog). The raw feeding formula for puppies up to 12 months of age differs only slightly, and I’ll cover that topic in another blog post soon. If your dog is overweight, feed a little less, if he’s underweight, feed a little more. Ideally you want to be able to see and feel a nice waistline on your pup and no sagging tummy. Sometimes the math is easier if you take your dog’s weight in ounces instead of pounds. To do this, multiply their weight in pounds by 16. Then you can multiple that number by .02 to get 2% of your dog’s body weight in ounces. Example: If the dog is 62 pounds, take 62 X 16 = 992 ounces in body weight. Two percent of that is 19.84 ounces (992 X .02 = 19.84). Round up if you want and call it 20 ounces per day. 1 pound = 16 ounces. So in this case, the dog eats 20 ounces per day or 1 pound 4 ounces. Also note that some dogs may require a lot more food than the average dog. Lindsay’s dog Remy the weimaraner requires about 4.5 to 5% of his body weight per day in raw food because he is extremely active and runs long distances. If it’s easier, you can break the food into 3 smaller meals. Have you made any of these raw feeding mistakes? Do you have any questions about raw feeding? Yes, it´s true. For me, it was really confusing, that only secreting organs count as organs. So, it`s great to read about here. Thanks for sharing this great content. Great tips. I will try to implement some. What would be the best way to rotate meats and how often? Should you switch meats weekly (example: chicken one week, beef another, etc.)? Or is it fine to have different meats in a meal (example: beef and chicken one day, chicken/beef/turkey another day, etc.)? Either way as fine as long as your dog is used to eating the different meats. Some dogs will get an upset tummy if you change things around too frequently. So it all just depends on your individual dog and what’s convenient for you. When introducing a new food, I slowly add it into the diet over at least a few days, ideally a week or two. But some dogs are not as sensitive. Thanks, Lina! You can definitely feed different proteins in one meal once they’ve been introduced to your dog – there’s duck, beef, chicken & fish grinds in one of the pictures included in the post above. I’d introduce one protein after the other, just like Lindsay said, but once your pup has been introduced to them, you can mix them together. I’m always afraid to feed raw bones because my dogs are likely to snarf them down and choke on them! (or so I think). When I made homemade raw food recipes for my dogs, I used Bone Meal to add calcium because I wasn’t sure how to incorporate bones without worrying too much. Do you think chicken thigh bones or wing bones would be easy enough for a dog to eat without worrying about choking? Heather, remind me how big are your dogs? Sometimes larger is better so the dog has to crunch them up a bit. For example, with my 60-pound dogs I fed chicken thighs or chicken quarters vs. wings. They’d crunch up the thighs slightly but still swallow large chunks, which is just fine. They’re actually pretty unlikely to choke but I understand the worry. It’s hard to get used to. You can also feed slightly frozen so it’s more awkward for them to just swallow it whole. And of course, by “bones” I’m referring to actual chicken thighs with all the meat still attached. Charlie is 45 lbs (yellow lab/border collie mix) and Jake is 55 lbs (lab/black mouth cur/am staff mix). Jake hasn’t been on a raw food diet before but I’ve been introducing him to tidbits in his food now and then. Charlie has had commercial raw food and homemade raw food (based on Steve Brown’s recipes – but that was completely ground up, nothing whole). Oh OK, I would recommend chicken thighs.